Just a quick one today. I thought I’d share with you my favourite meals that are quick and easy to make while you are at Uni, or just at home come to mention it. To some these might not seem too adventurous but they are nice and filling meals with a good amount of protein, veg and carbs to keep you going or line your stomach before a night out. Some of these recipes I kind of make up as I go along and others I have taken from recipe books. I tend to cook them with my boyfriend Josh or my flatmate Amy and her boyfriend Steven, it’s a running joke that we have a little cooking club. 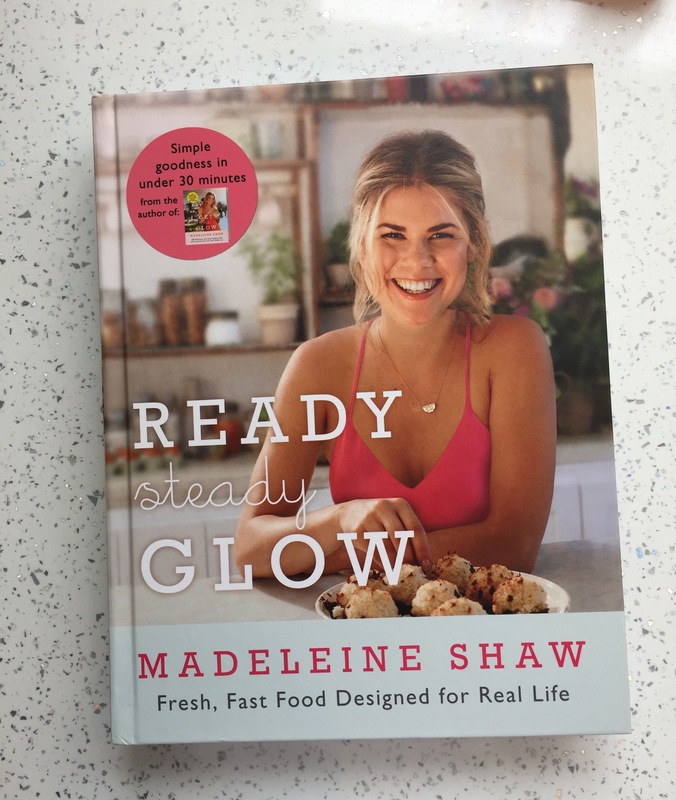 First up, and possibly my favourite recipe on this list is a Chickpea Curry taken from Madeleine Shaw’s Ready Steady Glow. 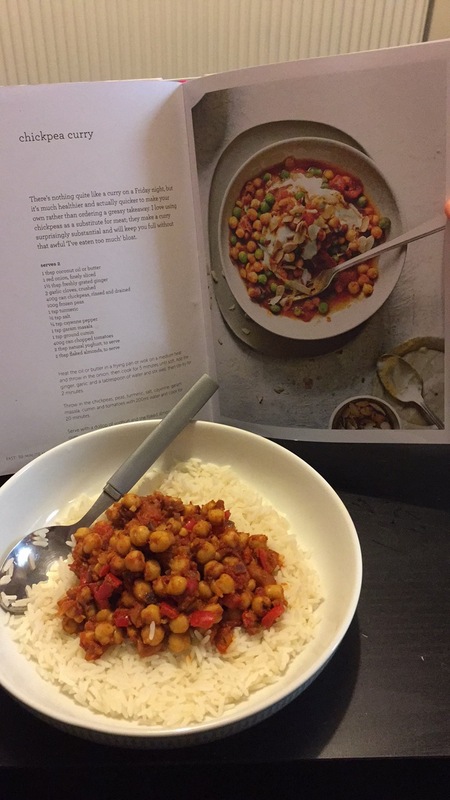 This is a really simple Vegan recipe- a classic curry with a twist, the chickpeas replace the bulk of the meal which would usually be taken by chicken or another meat. I find this meal is really filling when served with rice. You can follow the recipe exactly or tweak it, for example me and Amy aren’t keen on garden peas which are listed in the ingredients so we just replace them with a red pepper instead to help increase the veggie content. Although not the most aesthetically pleasing dish I’ve ever made it is a yummy one because of the different spices used including Ginger and Garam Masala and it only takes half an hour to prep and cook the whole thing. Next Up is Homemade Nandos. Now for this one I don’t follow a recipe I just go from memory. 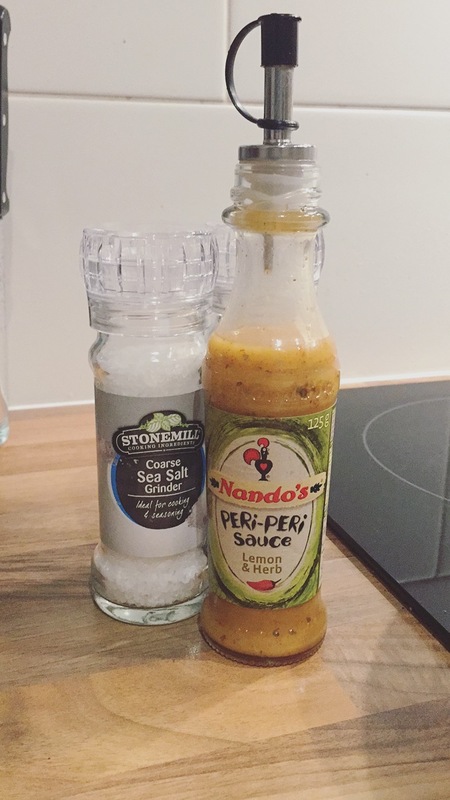 Basically the key ingredient is a bottle of Nando’s sauce which you can get from most supermarkets, just choose your heat level and you’re sorted. 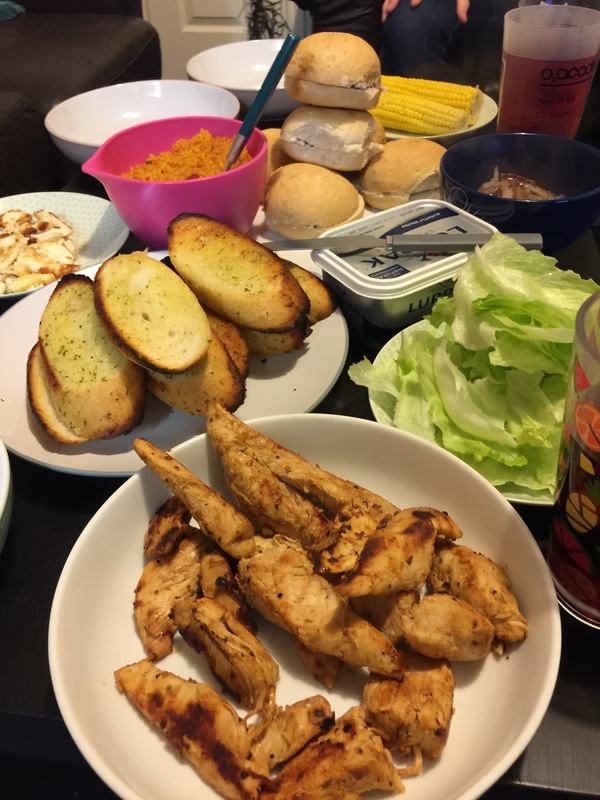 So when we make it we like to have a feast so that means Chicken, burger buns, wraps, salad, cooked onion, chips, corn on the cob, halloumi, garlic bread, spicy rice- name the side and we’ve had it. Obviously you only have to cater to what you want so if you’re just cooking for yourself or one other person you don’t have to be a greedy as this. Also I’m sure you can probably find a vegetarian substitute for the chicken like quorn or tofu. You may be able to tell from this post but I am a fan of chicken, its easy to cook and it’s versatile so goes with basically all of the kitchen cupboard, which when you’re a student is important, its also easy to freeze and defrost so you don’t waste it. 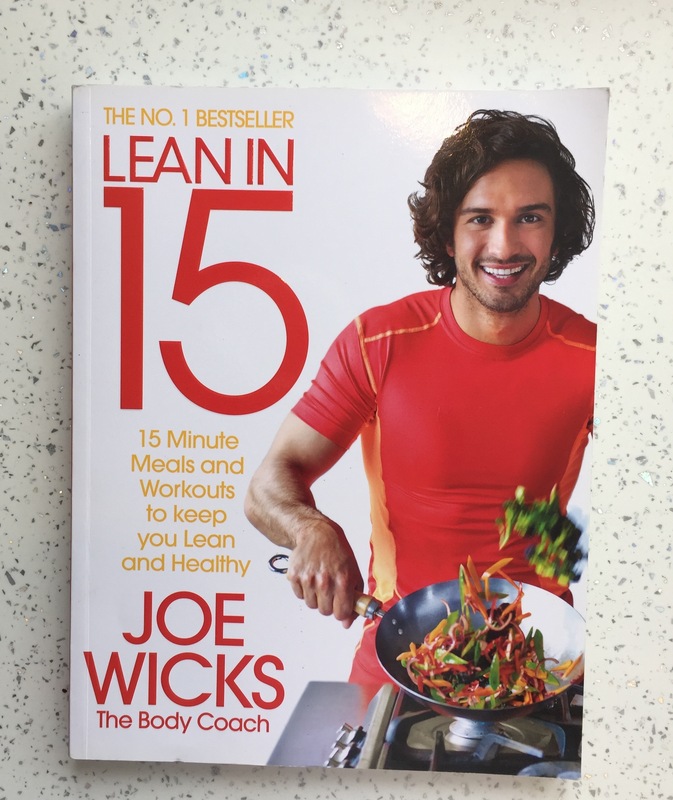 This next one is taken from Joe Wicks cookbook Lean in 15: The Shift Plan and he calls it his “Cheeky Chicken Fried Rice”. This is such an easy meal to make because you don’t even have to boil the rice, all you have to do is buy a bag on microwave rice and chuck it in the pan with your cooked chicken and your choice of veggies! I like to use spring onion, chilli pepper and red peppers. This is quite a light meal so is good for lunch time to keep you going while you write that essay. Another potential chicken dish (One day I’m going to turn into one) is StirFry. Super easy and cheap to make in bulk if there’s a few of you. I do like to mix this up a bit and make a beef stir-fry just for a change. You can get really nice steaks for cheap as they are only going to be cut into slices but they add a bit of juice to the sauce. Chuck everything in a wok with egg noodles and soy sauce and cook until the meat is done. I like to add baby corn in with my other veggies as they are extra filling, there’s no right or wrong as to what you can add its quite a personal thing in my opinion, depending on how fussy you are. There are plenty of recipes and ingredients lists on bbc good food as well if you aren’t interested in buying a recipe book. 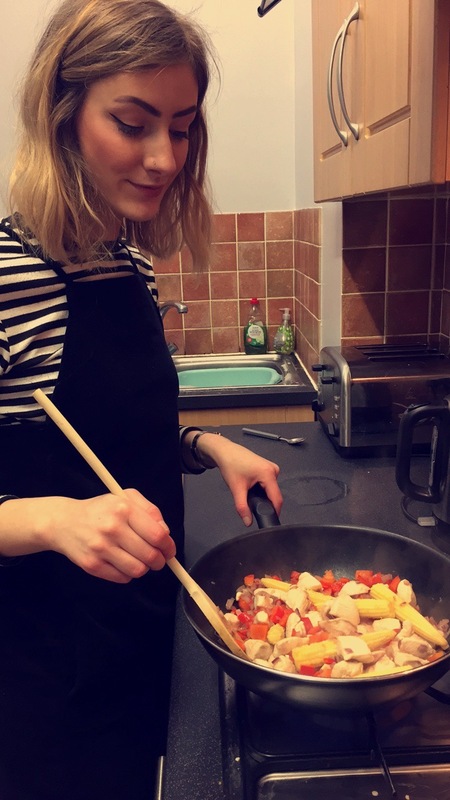 Me forcing Amy to model cooking our Stir Fry. Now this one is just a snack but they are a nice healthy alternative to chips if you’re trying to eat slightly healthier. 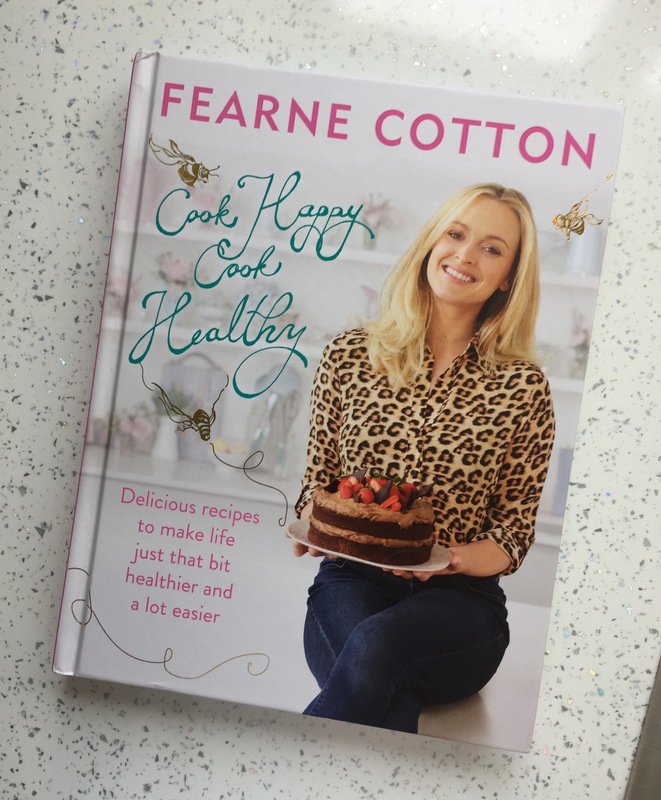 I use Fearne Cotton’s easy recipe from her book Cook Happy, Cook Healthy to make Sweet Potato Fries and they are so yummy! Like I said you can find a recipe easily enough but to cut a long story short chop up your sweet potatoes and cover them in a mix of oil, herbs, salt and pepper and whack them in the oven on a tray- Lovely! These are a summer favourite as they remind me of barbecues and days where its so hot you can only eat a salad. All of these recipes are simple and affordable, although for some you may initially need to buy ingredients like spices, they can be picked up cheaply and will last for ages and become cupboard staples. If you’re bored of the foods you’re eating maybe just try one of these meals to shake up your routine. What’s more eating nutritious and filling food will make you feel better and more productive, like I said in my How to be Productive post you need to treat your body well or you won’t feel your best or be able to work to your highest standard. Let me know what your favourite meals are to cook at home or your favourite cookbooks.